Deliberation Room is hosting a romantic dinner with live soft and smooth music. 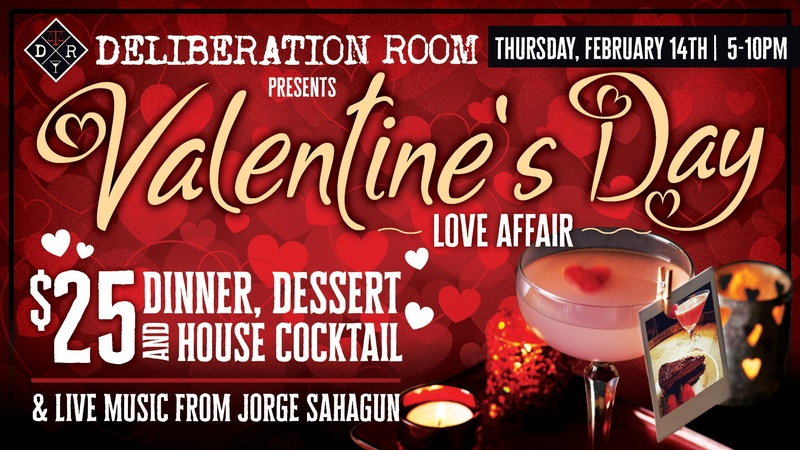 On February 14th come out to the Deliberation Room with your love and enjoy a beautiful romantic dinner with signature cocktails and a delicious dessert while being serenaded by soft and smooth Jorge Sahagun. Reserve yours and your sweetie's spots now by calling 209-910-9477.